Second grade is a wonderful time for your child to begin independent reading. Most children by this grade have had a fair amount of reading instruction. It is very important to choose books at the appropriate level of difficulty. Choosing books at the correct level allows your child to achieve fluency and gain confidence. Gaining confidence is a very important step at this age because it will help develop a lifelong love of reading. Tutti Frutti loves to reread books…is this ok? Yes! Because this is another step in learning to read that builds confidence. · You shouldn’t stop to correct every mistake your child makes. · If a word is misread that is imperative to the story and your child gets confused, step in and give the word. Otherwise let it go, often times children will realize their mistake and come back to correct it. · If your child struggles to read a word, don’t jump in to help immediately; give her a chance to figure it out herself. During the reading process, sometimes Tutti Frutti loses confidence or enjoyment if she makes too many mistakes. When I see this happening it is my cue to step in and give her praise and encouragement. We will finish the book but, I always make a mental note to choose an easier level next time. Easy Readers 1 – written for children learning to read. They have simple words and sentences with lots of pictures. Easy Readers 2 – written a little more advanced that Easy Readers 1. They have more difficult vocabulary along with more text per page but still have lots of pictures. The next list of books bridges the gap between easy readers and chapter books. This often seems to be a struggle point for homeschooling parents of exactly when and how to begin chapter books. Most children begin reading transition books between mid-second grade and early third. But, a good indicator is when they read easy readers with little to no difficulty. Ideally, your child should read eight to ten transition books before moving on to chapter books. Chapter Books 1: These books are a step up in difficulty to transition books. The sentences are longer and more complex, the story itself is richer – with more complex plots and characters. The page range of chapter books 1 is fifty-five to one hundred. Chapter Books 2: To really be ready for this next set of books, your child should read ten to fifteen books from chapter books 1. These books are longer and more difficult than chapter books 1. The paragraphs are longer and with more dialogue. The page range of chapter books 2 is eighty to one hundred forty. A good readiness indicator for chapter books 2 is that your child can read silently and accurately for longer periods of time. 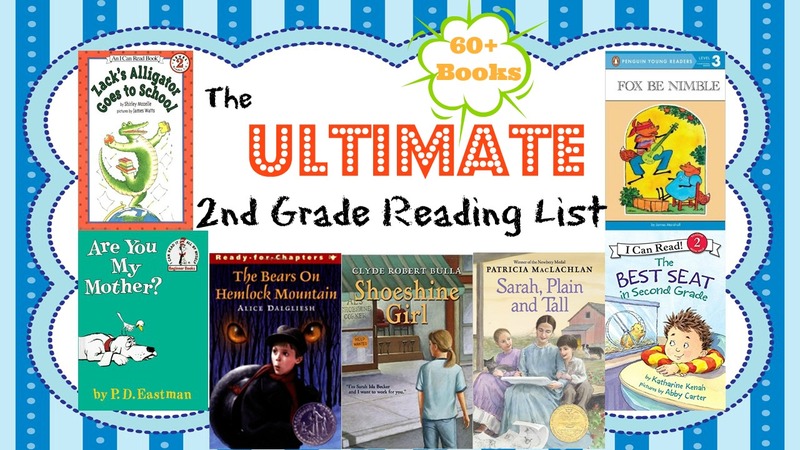 This is the ultimate reading list I have for second grade. Tutti Frutti is working hard on her list but, there is absolutely no pressure to complete it all. What fun would it be if we were a slave to our list? Do you have a favorite book for second grade? If so, please share! that doesn’t want to read!